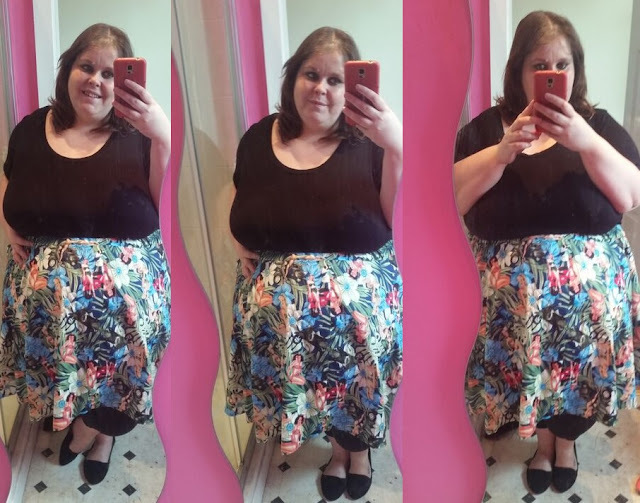 You might remember a few weeks ago I wrote about some rather fabulous plus size skirts I found on eBay. The watermelon and the music note prints went down a storm - I loved seeing all of your pics! The lovely lady who makes the skirts promises to get in loads more exciting prints in and personally I can't wait to see what she comes up with! A couple of days ago she sent me this lovely skirt to try and of course it's a hit! 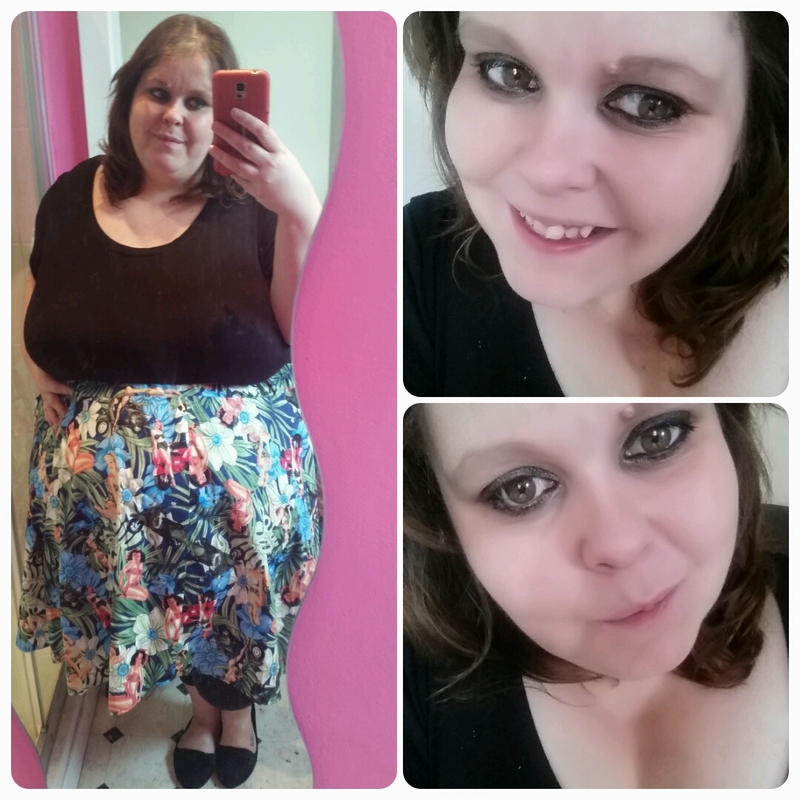 What I love about these skirts is that you give her your measurements, so they fit you perfectly. She even makes the waistbands wider on larger sizes, there really is so much thought put into these! I love the fun print of this skirt - it's unique and unusual! It's a sort of hula theme, with lots of colours that you can use to match up with accessories that you wear. I really like the fact that it's covered in scooters - where else would you see something so fun!? I really hope that the lady behind these skirts keeps up the great work. 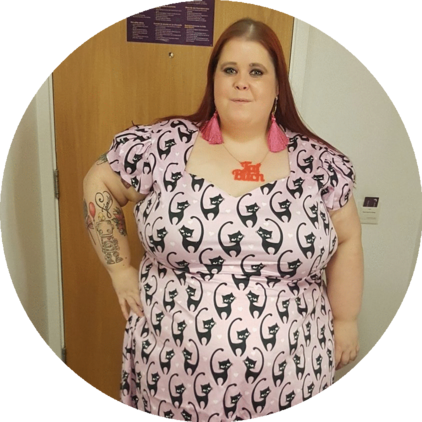 I think her items are an amazing addition to the plus size world - have you head over to eBay to find yours yet? What prints would you like to see on a skirt like this? Personally I have my eye on the Ohh Laa Laa Paris skirt!